The viral campaign for Marc Webb‘s The Amazing Spider-Man continues onward. The previous viral website, “Mark of the Spider-Man”, recently posted a fake news segment of NYPD Captain Stacy (Denis Leary) speaking to Daily Bugle TV. Sadly, Daily Bugle Editor-in-Chief J. Jonah Jameson isn’t in the reboot, but Stacy preaches from the same book when he says, “What kind of hero wears a mask?” The video has Stacy telling viewers a hotline they can call if they see Spider-Man. The number is 877-651-8503, but it will just tell you to go to the website webbedmenace.com, which is where people can go and upload pictures of Spider-Man. Hit the jump to check out the fake news segment and click here to check out Steve’s interview with Webb at WonderCon yesterday. 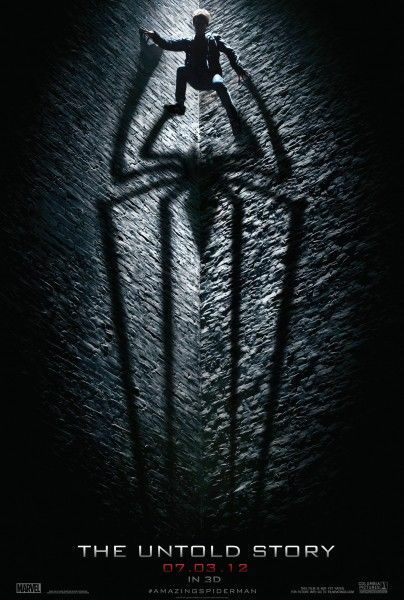 The film also stars Andrew Garfield, Emma Stone, Martin Sheen, Sally Field, and Rhys Ifans. The Amazing Spider-Man opens in 3D on July 3rd. Via Mark of the Spider-Man. THE WALKING DEAD Season Finale Recap: "Beside the Dying Fire"